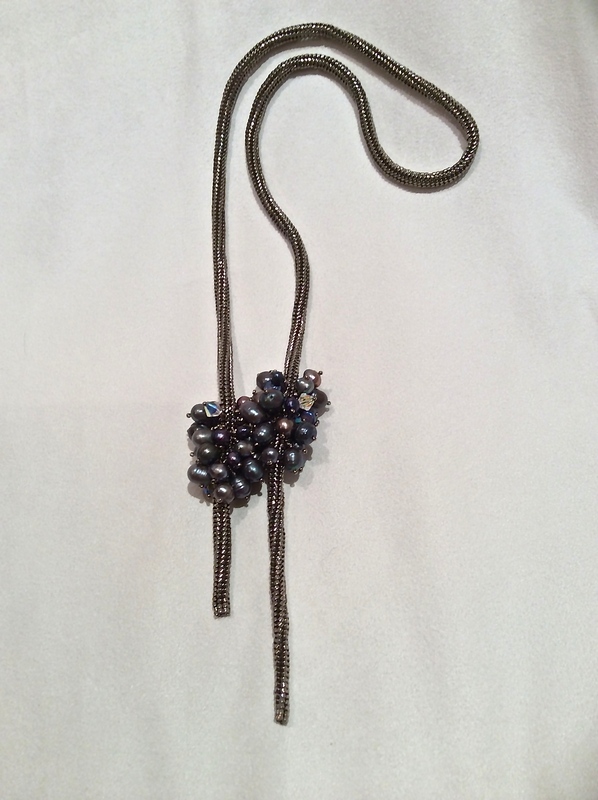 The lariat is made of cylinder nickel plated beads. There are more than 70 fresh water pearls and Swarovski Crystals in the two baubles. There is a tiny powerful magnetic clasp hidden the baubles of pearls.